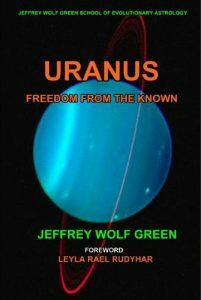 Uranus: Freedom From the Known is based on a 6-hour workshop that had been given in 1986 by Jeffrey Wolf Green, the founder of Evolutionary Astrology. It focuses primarily on the archetype of liberation from existing inner dynamics that are preventing the evolution of the Soul. Addressed in this book are the archetypes of trauma, individuation, liberation, de-conditioning. These Uranian archetypes are always in dynamic tension with the Saturnian archetypes of individual and social conditioning. It is the purpose of Uranus to try to shatter or break free from the conformity patterns that define one’s sense of identity, in order to arrive at one’s essential unique nature that is unconditioned. The dynamic tension between Saturn and Uranus is the primary theme of this book. Also covered are in-depth descriptions of trauma of the mental, emotional, physical and spiritual bodies correlating to the outer planets; Uranus retrograde, transits, aspects, synastry and composites; and the archetypal correlations of Uranus to anatomy, physiology, and the chakra system, making this one of the most comprehensive “must-have” books on Uranus from an Evolutionary Astrology point of view. This is a revised and expanded reprinting of the original book that was published in 1986. 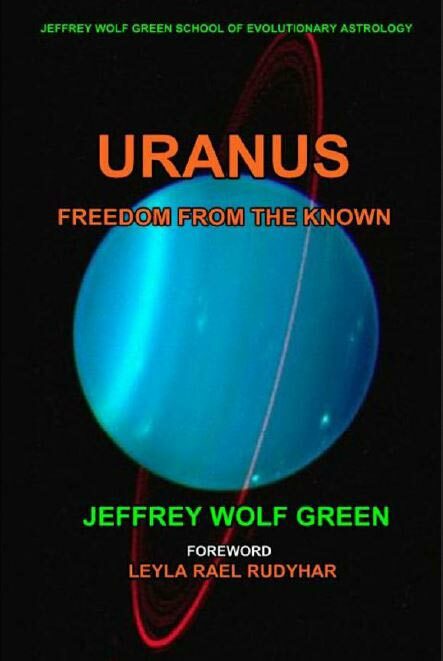 Thank you for purchasing our Uranus book. We hope you find much value in it!